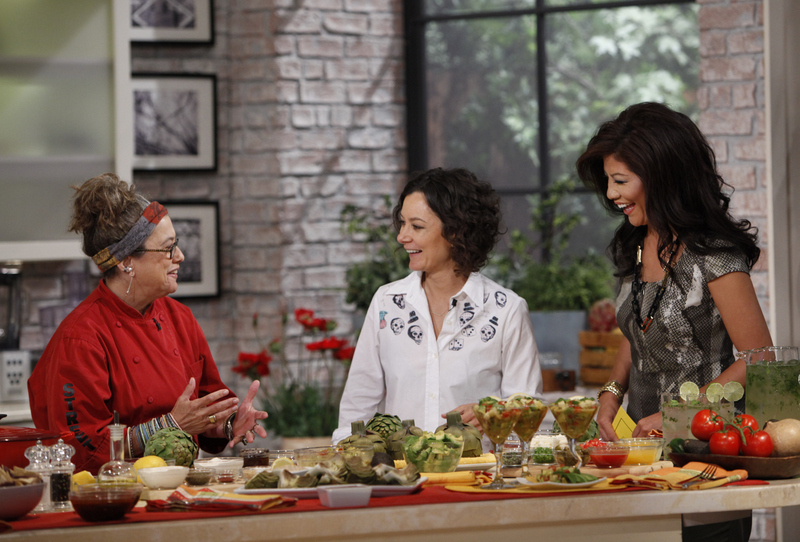 Chef Susan Feniger shows co-hosts Sara Gilbert and Julie Chen how to cook up delicious and easy vegan tapas dishes, Tuesday, July 9, 2013 on the CBS Television Network. Susan Feniger, from left, Sara Gilbert and Julie Chen, shown. Photo: Lisette M. Azar/CBS ©2013 CBS Broadcasting, Inc. All Rights Reserved.